Our overall mission is to help create a movement and a model for ordinary people based in the United States who want to start a non-profit organization to restore an important place and help revitalize an amazing small town anywhere in Italy. The specific project that we’re obsessed with is the restoration of San Filippino, a beautiful little 17th century baroque chapel located in Castiglion Fiorentino, Tuscany, Italy. In addition to restoring the building itself, we want to re-establish the chapel's associated common areas and apartments as places where pilgrims, priests, scholars, business leaders, artists, and people of all walks of life can gather to learn and share and help one another. We hope that the restored chapel will make a significant contribution to the economic and cultural life of Castiglion Fiorentino, one of the loveliest hill towns in all of Tuscany. Should you decide to help with our mission, we know that you will be rewarded in many ways. Together, we can make this happen! 100% of donations go toward the restoration project. We have no paid staff. All work is done by volunteers. Please contribute to this very worthy cause. Any amount is greatly appreciated. Donations can be made using a credit card or Paypal. Friends of San Filippino is a 501(c)(3) tax-exempt nonprofit organization, so contributions are tax deductible as allowed by law. 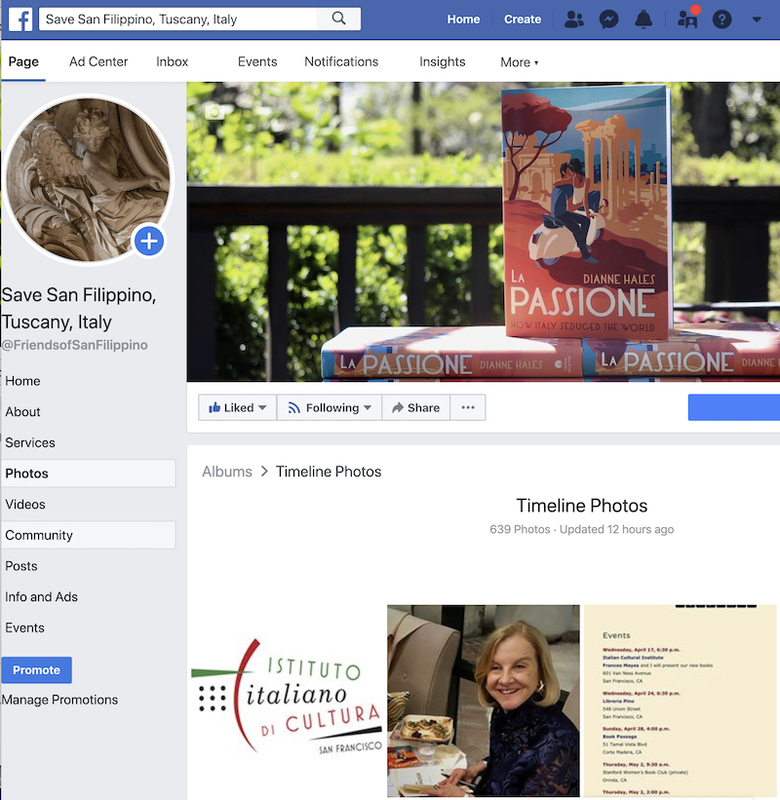 Friends of San Filippino has no paid employees. All work is done by volunteers in the U.S. and in Castiglion Fiorentino. 100% of donations benefit the project. 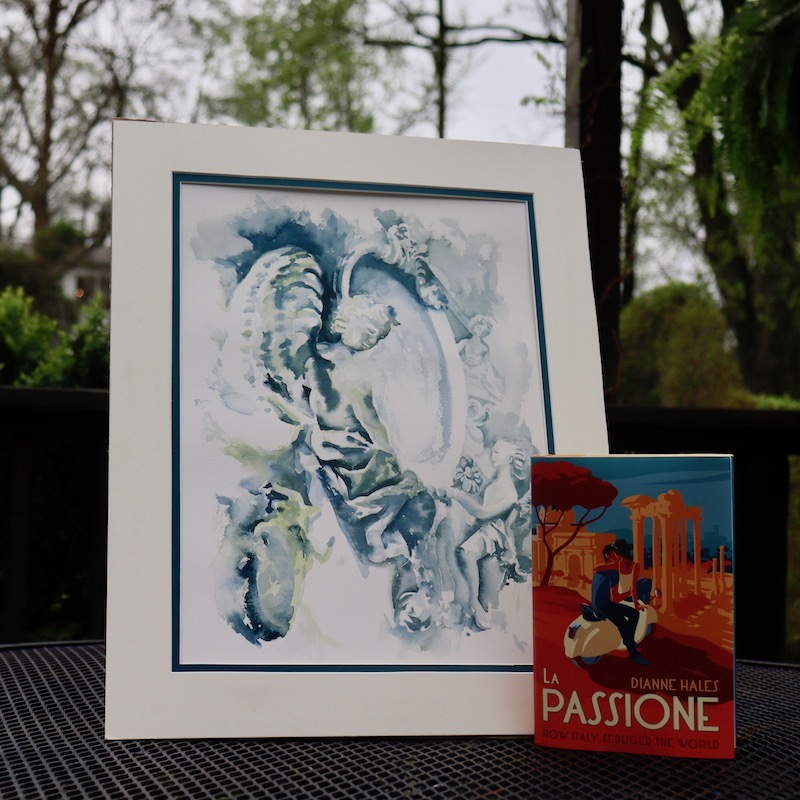 Donors who contribute $500 or more are eligible to receive a copy of La Passione: How Italy Seduced the World signed by author Dianne Hales and a giclée reproduction of Erin McIntosh's Cherubs in Blue and Green. Email us directly at rita@friendsofsanfilippino.org if you would like to take advantage of this limited offer.